At least one person was injured in a head-on collision near Safari Park Tuesday afternoon. 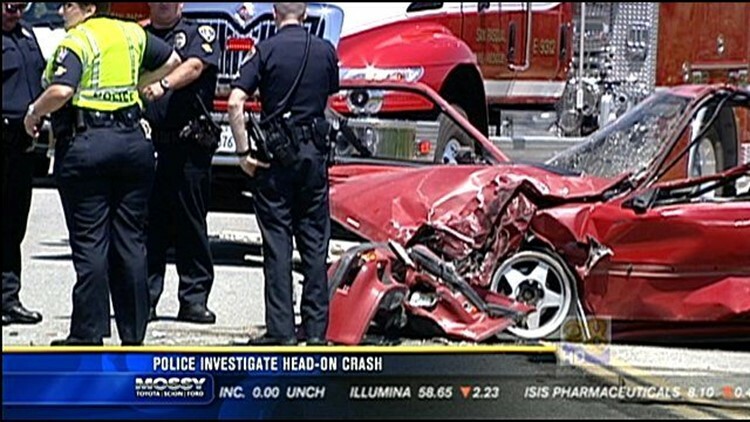 SAN DIEGO (CBS 8) - San Diego police are investigating a head-on crash in San Pasqual. It happened around 12:30 p.m. several miles east of the San Diego Zoo Safari Park on San Pasqual Valley Road. Police say a red Honda drifted into the eastbound lane and struck a van. The driver of the Honda was taken to the hospital with a broken leg and internal injuries. The driver of the van complained of rib pain. Police found a loaded semi-automatic pistol inside a bag in the Honda. Officers are investigating if drugs or alcohol may have been involved.